In the pantheon of Rock’n Roll flautists, there exists no bigger name than Ian Anderson and his legendary band Jethro Tull. 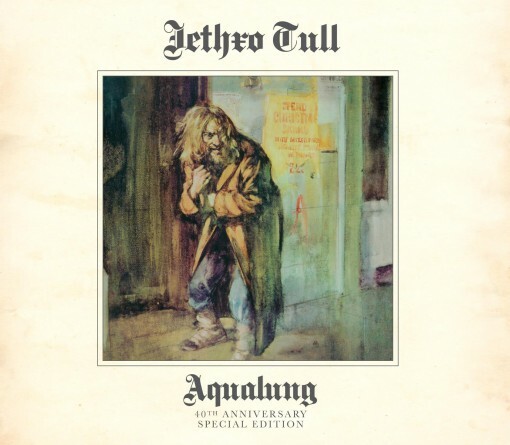 2011 marks the 40th anniversary of Tull’s fourth and best-selling album, Aqualung. Digitally remastered and expanded two CD commemorative Collector’s Edition of the classic 1971 album, released to coincide with Aqualung‘s 40th Anniversary. Disc One features a NEW, previously unreleased stereo mix of the album by Porcupine Tree’s Steven Wilson. Disc Two contains additional recordings from 1970-71 and includes unheard stereo mixes. In addition to the Aqualung reissue, Ian Anderson is revisiting another one of his classic albums in 2012. For the first time since 1972, Anderson will perform Thick As A Brick live in its entirety. The TAAB world tour will commence in the UK in Mid-April and then move on to other European countries in the late Spring and Summer before landing in the USA for two tours during September, October and early November. 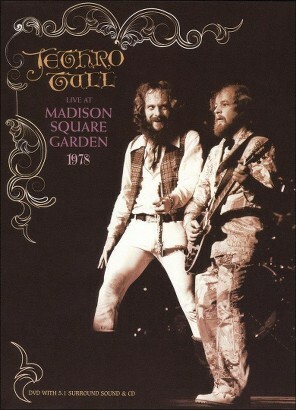 In honor of the epic re-release of this Jethro Tull’s most recognized album, I’m giving away a copy of the DVD/CD combo of Jethro Tull’s famed 1978 concert from Madison Square Garden. Live at Madison Square Garden: 1978 captures the band at the height of their powers during their “Heavy Horses” tour. The set includes over 90 minutes of concert audio in 5.1 DTS/Dolby Surround and 50 minutes of concert footage. Enter for a chance to win this DVD after the jump. Contest ends on November 20 at midnight, 1 entry per household, US and Canadian entrants only. 2012 Thick As A Brick UK and European tour dates and contest entry form after the jump.